Hey everyone,im new here. I always used to use propane but we got a cheap dollar store charcoal grill and I abused it.it worked ok but airflow was a joke and it was cheap so I didn't expect much.i recently got this from Wal-Mart for $86. 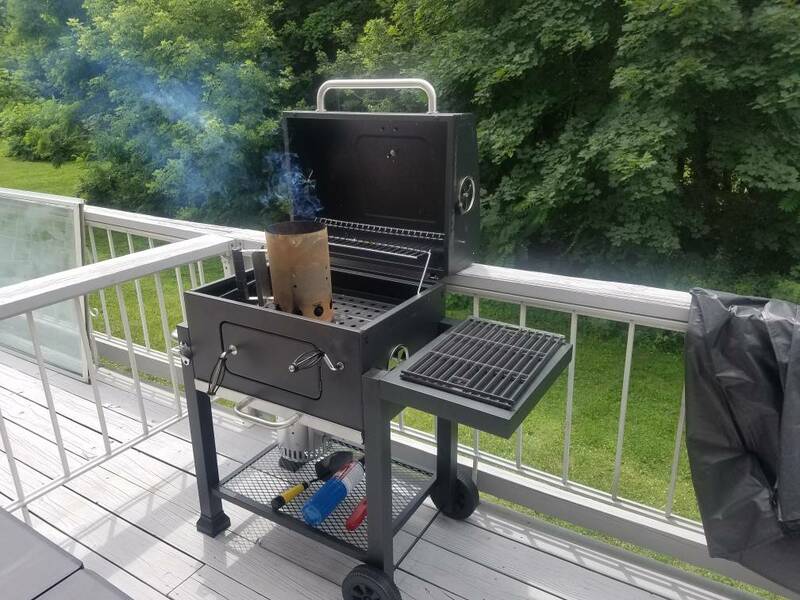 I think it's a good buy for the money.its sturdy and holds heat pretty well although it could be sealed better.tried smoking burgers on it for the first time and my coals didn't hold up too good.the coal tray is shallow so I couldn't get a decent mound going.will have to make a fire basket.im still pretty green and get frustrated but you can't beat the flavor and end results.any advice? Just have fun and enjoy the spoils of your obsession. I do with mine. Very good thing! I bought it here somehow https://bestgrillcover.com/ , so it melted with me, can you imagine? And a kilo of meat to nowhere.